Let me preface this post with this thought, I don’t write these words or share these thoughts because I have a grasp on anything. This is a project for me. Its one of my classes in the school of life. As I research, read, interact and experiment I am writing a paper of sorts. Sharing with the class the things I am finding out about my life. Just walking along with my schoolmates. Although most of my posts can be applied to everyday life, some make much more sense if you are a follower of Christ. These teachings are part of my journey to know my Creator more intimately and to grow in my love for Him. This post is more towards the church going crowd. Those who attend regularly and serve in one way or another. I have some interesting thoughts tonight. The need to write them down was pressing on me. I have grown up attending church. As a two week old baby, my first venture our of the house was straight to the little church my Mom and Dad had attended since their dating days. Only a couple of years out of my life have been spent without a church home or a desire to attend so experience plays a role here. Burnout has been a reality in churches for as long as I can remember. A few people doing the majority of the work. Those who call themselves Christians dragging through church and life in a tired state. 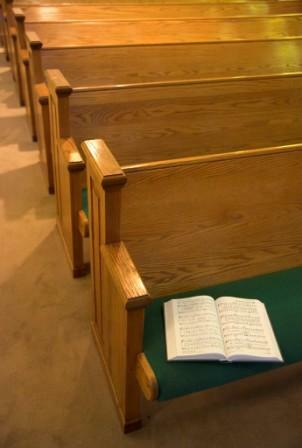 Many children end up as “pew orphans” and families become strained until something gives. I once heard it said that 20% of the people do 80% of the work. Perhaps that is true but there is another truth I’ve experienced. Many of that 20% don’t want to give up control of “their area” of service. There are plenty of gifted folks among the 80% who would be glad to step in but a portion of the 20% feel as if the role belongs to them. Giving up any part of that may mean surrendering control. Even walking away from something that they started. They view it as their baby and can’t imagine that anyone else would love it as much as they do. I’m not suggesting that anyone step out of where they are called but are you called to do so much that you sacrifice your family for the sake of a church position? Are we afraid to say no to an area we aren’t called to serve because we are afraid of getting passed over for one we have always wanted? We aren’t supposed to sacrifice our relationships with others in our church body either. What we are supposed to sacrifice and lay down is our pride, our ego, our selves! My challenge to you (and to myself) is to think about these things. Are you the only one called to serve? Are you the only one with a gift? Would you be willing to partake in true growth by dying to self and letting someone else have the chance to serve? What is God truly calling you to do? Are you willing to get out of the way and let God do something new in your life and the life of your church?